The process involved in replacing a damaged or leaking sewer line can be really hectic. In traditional sewer line repair, you have to excavate and tear apart your beautiful yard. This discourages residents and homeowners in Van Nuys to consider taking actions anytime they notice an abnormality in their sewer lines. In fact, they left most of the old, weak, and rusted sewer lines in the area unchanged. However, leaving your sewer line after a lot of years without repair or replacement usually have negative consequences. There is no way you won’t experience raw sewage and wastewater spill cases practically every time. Hence, the best thing to do is to find a long lasting solution by replacing your old, weak, or leaking sewer lines once and for all. A lot of homeowners in Van Nuys, CA are guilty of this act. They prefer to neglect their old, damaged sewer line rather than excavating. They are afraid of the repair and post replacement cost. Unknown to many, it is now possible to repair or replace these old, weak sewer lines without any need to dig up the yard. This technology is referred to as trenchless sewer repair. Trenchless sewer repair has made it possible for a lot of residents to repair their damaged sewer line without having to excavate their yard. Besides, since no large trench digging is involved, trenchless sewer repairs can be completed within a short period. What’s more, compared to traditional digging, only a minimal cost of labor is required. Above all, you save money on purchasing new plumbing pipes, as the old ones will be re-lined. If you are in search of a dependable trenchless sewer line repair company in Van Nuys, CA to handle the repairs of your drains and sewer lines, Rapid Plumbing is the perfect fit to get the job done. We are known to offer outstanding trenchless sewer repair services to the residents of Van Nuys, CA, and nearby cities. We are always ready to provide a fast and effective trenchless piping repair solution to your damaged or leaking sewer line. You don’t have to keep managing your sewer line. 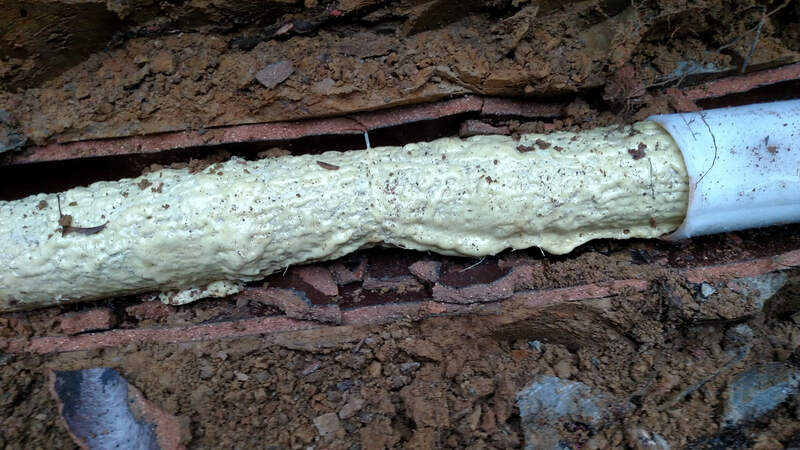 A clogged, corroded, old, weak sewer line will eventually get damaged. If care is not taken, you may end up spending more on replacement or restoring the damages to your property or foundation on the long run. Simply get in touch with Rapid Plumbing to fix the situation. We are a distinguished trenchless sewer line repair company in Van Nuys, CA. We are always ready to offer you first class trenchless sewer repair services. Trenchless sewer linings are durable and long lasting. They use polyethylene or cure-in-place piping liners. They are very affordable and helps you save cost on sewer line repairs. After noticing an anomaly in your drain, sewer line, or entire piping system, get in touch with us today at Rapid Plumbing. Our team of well-trained trenchless sewer repair experts are always on ground to respond to your call and offer a suitable fix. With Rapid Plumbing, your sewer line issues will become a thing of the past.